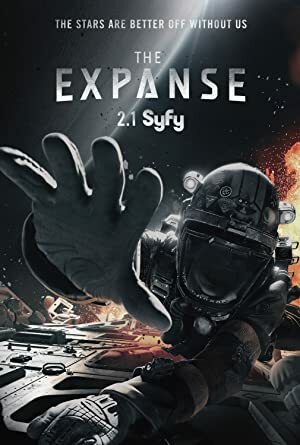 Sinopsis : Two hundred years in the future, in a fully colonized solar system, police detective Josephus Miller (Thomas Jane), who was born in the asteroid belt, is given the assignment to find a missing young woman; Julie Mao (Florence Faivre). Meanwhile, James Holden (Steven Strait), the first officer of an ice freighter, is witness to an unprovoked attack upon the ship, by craft believed to be from Mars (MCRN Federation). As news of the attack spreads throughout the system, the incident's flow-on threatens to destabilize already tenuous relations between Earth, Mars and The Belt. Far away from the struggles in deep space, on Earth, Chrisjen Avasarala (Shohreh Aghdashloo), a powerful United Nations executive and diplomat, works to prevent war between Earth and Mars by any means. Soon, the 3 find out the missing woman and the ice freighter's fate are part of a vast covert conspiracy which threatens all humanity.